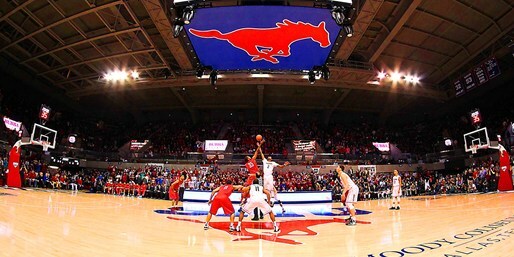 PonyFans.com • View topic - SMU-USF: What can be done in 6.2 seconds? SMU-USF: What can be done in 6.2 seconds? Re: SMU-USF: What can be done in 6.2 seconds? we can only hope that Miller has pushed our AD(?) into starting a basic search- 'just in case'. A change must be made and the quicker the better. Pony ^ wrote: If something isn't done as soon as we lose the first game in the AAC tournament, that would be the most SMU thing ever. Listen to Jank's presser. He acknowledges a lot can be done in 6 seconds and the plan was to drive hard and dish only if/when stopped...when USF did stop Whitt's drive, our spacing was terrible and he basically dumped it off into a cluster. I would have to watch that finish again, but assume Chargois was following Whitt for a possible put back. As I watched live, my reaction was that Whitt quit on that play because he didn't want to take the last shot, but might have also been poor spacing and running of the court by the rest of our guys? Charleston Pony wrote: Listen to Jank's presser. He acknowledges a lot can be done in 6 seconds and the plan was to drive hard and dish only if/when stopped...when USF did stop Whitt's drive, our spacing was terrible and he basically dumped it off into a cluster. I would have to watch that finish again, but assume Chargois was following Whitt for a possible put back. As I watched live, my reaction was that Whitt quit on that play because he didn't want to take the last shot, but might have also been poor spacing and running of the court by the rest of our guys? Looked like we had no clue what we were supposed to be doing to me. PS I've watched this clip 452,848 times. That WAS good! Kinda like Nick's shot.